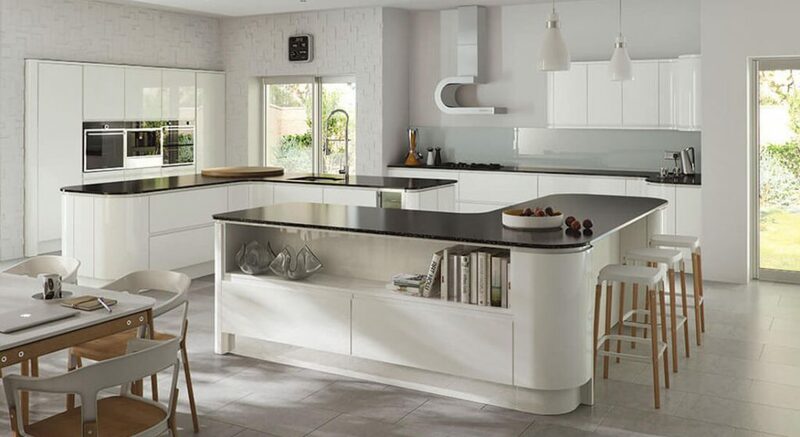 Handleless kitchens are becoming more and more popular in the UK but why is that? There are many reasons why more people are turning to this new luxurious style and there are a number of benefits to take away from it too. It’s family friendly design with hygienic, clean cut lines and not to mention, it’s a classic finish that looks great in all kitchens – whatever their shape or size. This month, UK Kitchens are here to explain a little more about why you might want to take advantage of this new, improved handleless technology. From time to time we accidentally catch our clothing on the handle of a drawer or hit our hand on it when passing and this can be painful and extremely messy, if you’re in the middle of cooking. 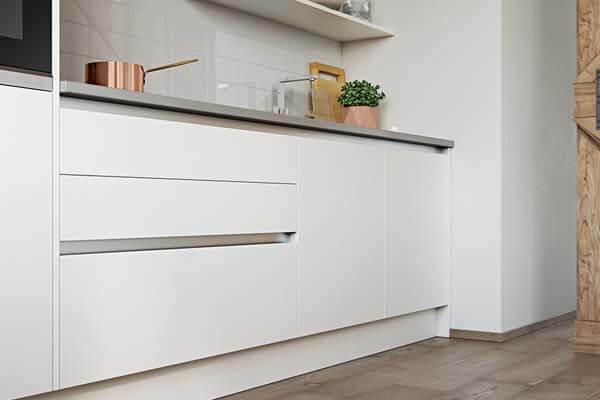 However, with handleless kitchens, your cupboards will provide you with a safer environment where you needn’t worry about these incidents – without handles, there’s nothing there to slow your process in the kitchen. It goes without saying, handleless kitchens look polished and thanks to their minimalism, they require very little upkeep. Without handles, you needn’t worry about broken knobs, faded finishes, chips in paint, loose screws, rust or a buildup of dirt and grime. 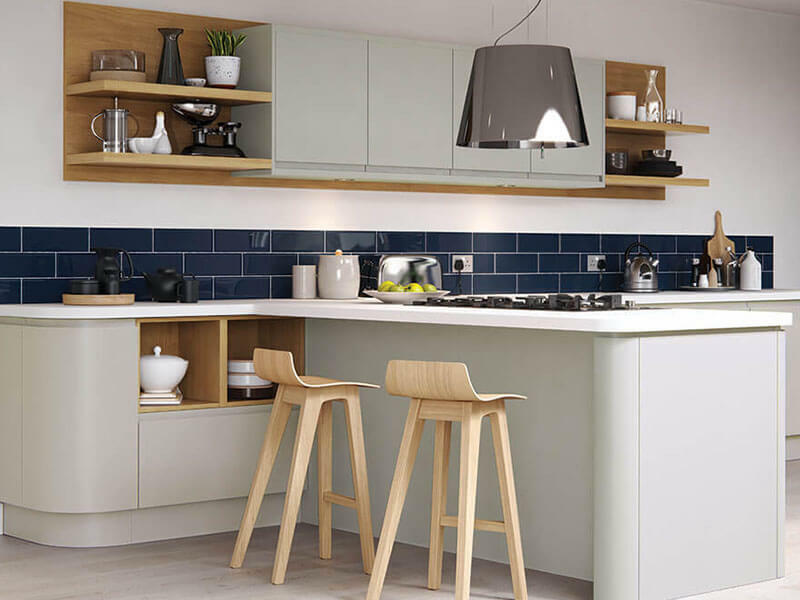 A contemporary and sleek looking kitchen will wow anyone who enters your home and if you’re looking to sell – it will inevitably gauge the interest of potential buyers too. Where there’s handles, there’s bacteria. When you’re cooking, you’re bound to transfer food, sauces and crumbs in hard to clean crevices. Whereas, handleless kitchens are straightforward and easier to clean. Once you’ve decided on the layout of the kitchen, you’ll be considering tiles, backsplashes, sinks, lighting, materials and finishes – so cut out unnecessary decisions. Perhaps you don’t know whether your handles should be matching the rest of your home and coordinating finishes from room to room – think simple and opt for simple, clean technology. Children are notorious for pulling on handles and in the kitchen, this can be quite the dangerous game. If you have young children, handleless kitchens are a great option because they’ll be less interested to explore. Soft closing hinges are also great because they prevent accidents i.e. slamming the door shut on your hands! UK Kitchens is a family run business, who understand that the kitchen is the heart of the home. So for maximum inspiration and a job well done, speak to our friendly team today and let’s work together to design and implement the kitchen of your dreams. Visit our Nottingham showroom for a taste of what we have to offer or alternatively, give us a call – we’re happy to help.